At ROYAL LePAGE we have developed a plan which professionally organizes the buying process. This is accomplished by utilizing the Guide to Buying a Home which is designed to offer you practical information about the buying process in a step by step format to assist in finding your ideal home. It also assists Bob to provide personalized and attentive service to your particular real estate needs, through a full understanding of your motivation, your financial considerations and what is important to you. Next, Bob will consult the extensive Multiple Listing Inventory of Vancouver Island homes for sale so that real estate you look at will represent the best on the market for your requirements. In addition, Bob will provide up-to-date multiple listing printouts or emails, housing market trends, area information and any other information that will be useful to you. 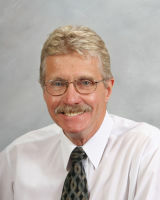 Bob will help you choose the Vancouver Island real estate properties you want to see. For information you need to get started, contact Bob anytime. "Very professional. Bob worked very hard to get us the best price." "Prompt calls, always available, helpful, expressed concern. Made appointments and set things up for me." "He was great! He went out of his way to help us and make us feel comfortable." "I feel very good about everything Bob did for us. Very well done!" "Having never met in person we felt very comfortable with Bob handling our real estate needs and ultimately our purchase. All transactions were done by telephone and email, all queries were handled promptly and professionally."